I've just learned the term "super recognizer"... it means that I'm eerily good at remembering or recognizing faces. I always felt that I was one of those people who "never forgets a face", but I never had any kind of proof. A few years back I took The Cambridge Face Memory Test on a lark and got 100%. Apparently Scotland Yard has a team of 200 people just like me who are employed to identify people from line-ups and surveillance footage. When I took the test I had recently painted 100 faces for my project "100 Days of The Artist is Present", and I wondered if this weird ability of mine was the reason for my fascination with faces—I can be really taken with a face, or in fact faces in general, and conversely quite freaked out or alarmed by certain faces. It has also been suggested to me (by a person or a book, I no longer remember) that growing up in a household with a—shall we say—unpredictable, "moody" person may have contributed to my fascination with and attention to faces. It's possible that I became highly attuned to my parent's state of mind, which would likely include assessing and understanding the look on their face. Who knows? It was definitely to my advantage to be sensitive to what was up. Doing a branding exercise in Creative Work at Good, it occurred to me that my personal tagline should be "trying to understand since 1960". Pretty much sums me up. The opposite of this ability is prosopagnosia or "face blindness", which is a disorder that the writer and neurologist Oliver Sacks had, and is marked by an inability to recognize faces. This condition must make for some awkward social moments. A few weeks back I took the test again, but I was feeling cocky and I did it while eating lunch. I got 97%. WHAT, YOU MEAN I'M NO LONGER PERFECT? I took the test again just now, and once again got 100%. Phew. Still perfect. In the test you are shown six faces, and then have to pick these faces out from a selection that includes one of those six, but also a couple other similar-looking faces. As the test progresses, less and less of the faces are revealed and visual "noise" is added so that the facial features become more difficult to make out. RELAX--THIS IS NOT THE TEST. An article I read during my Google search referred to this ability both as a "super-power" and a "gift". Well... I wouldn't go that far. And there is no correlation between this ability and intelligence (nor memory for other objects)—DANG. If you'd like to take the test yourself, do it here. 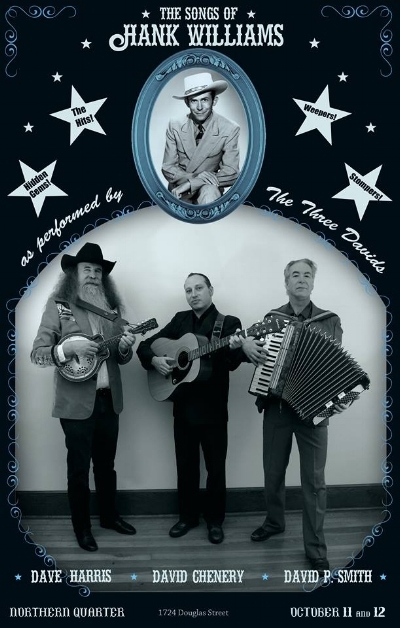 The art opening will be on Thursday, October 11th, and happens to coincide with the first of a two-night run of "Three Daves Do Hank", a Hank Williams extravaganza with David P. Smith, Dave Chenery, and Dave Harris. I've seen this show a couple of times now, and it's great. Three singular talents that have come together to craft a very entertaining night of song. The art opening starts at 5:00... put it in your calendar! Come down and have a drink with me! Come for the art... stay for the music! The winner of this month's draw for a free giclée print from balampman.com is jbtedlie@shaw.ca! A congratulatory email has been sent, and now I wait to see which artwork gets chosen. I find it very intriguing. If you haven't already subscribed to Feed The Monster, you really should... that way, you too could be part of a monthly draw for a giclée print. PLUS YOU'LL RECEIVE THIS NEWSLETTER EVERY MONTH. HEY! Respond to this—I would love that. And please pass it along to anyone you think might like it.